From teaching first words to encouraging first steps, the Fisher-Price Learnwith Me Zebra walker is the kind of first friend you want for your little one!Spin, flip, roll, click, twist. 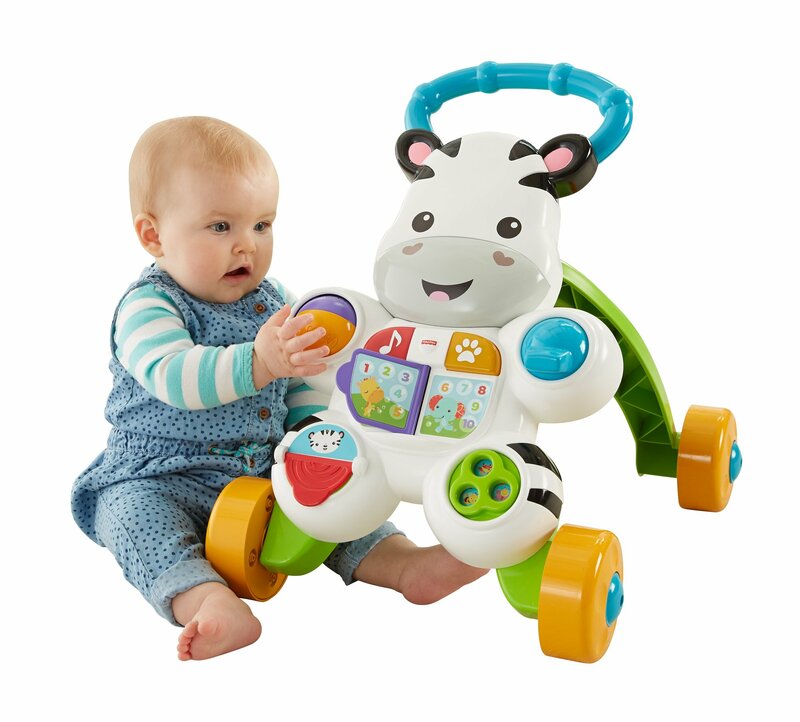 This zebra's full of busy, hands-on activitiesfor sitting babies. Your tot can turn the book page or press the light-upbuttons to learn all about ABC's & 123's through sing-along songs and phraseswith new animal friends! And when baby's learning to walk, the easy-grasphandle and sturdy 4-wheel base help steady those wobbly first steps. "Keepgoing!" Lots of fun phrases, music & songs invite and reward even more moving& grooving - helping little ones get even steadier on their feet! (And lettingmoms breathe easier. ).